What eye problems are often associated with diabetes? Diabetic eye disease refers to a group of eye problems that people with diabetes may face. 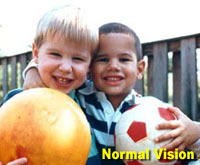 All can cause severe vision loss or even blindness. Fortunately, diabetic eye disease often can be treated before vision loss occurs. All people with diabetes should have a dilated eye exam at least once a year. Diabetic retinopathy is the most common eye disease in people with diabetes. 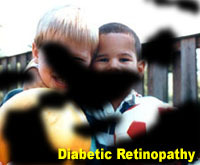 Diabetic retinopathy is a leading cause of blindness in American adults. It is caused by changes in the blood vessels of the retina. In some people with diabetic retinopathy, retinal blood vessels may swell and leak fluid while, in others, abnormal new blood vessels grow on the surface of the retina. These changes may result in vision loss or blindness. Diabetic retinopathy cannot be completely avoided, but the risk can be greatly reduced. Better control of blood sugar slows the onset and progression of retinopathy and lessens the need for laser surgery for severe retinopathy. There may be no symptoms or pain in the early stages of the diabetic retinopathy, and vision may not change until the disease progresses. A condition called macular edema may occur when the macula, a part of the retina, swells from the leaking fluid and causes blurred vision. 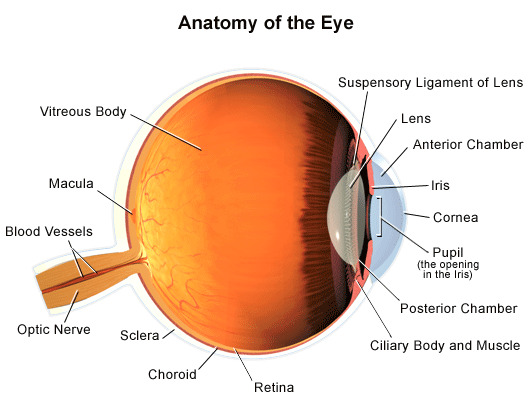 When new vessels grow on the surface of the retina, they can bleed (hemorrhage) into the eye, which may decrease vision. Who is at risk for diabetic retinopathy?Anyone with diabetes is at risk for diabetic retinopathy. The longer a person has diabetes, the more likely it becomes that he or she will develop diabetic retinopathy. Having a dilated eye examination once a year. 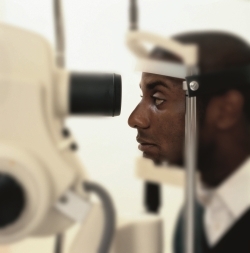 An eye exam does not prevent retinopathy, but it can help diagnose eye problems that can then be treated. An eye exam can also alert the patient and health care provider if the diabetes needs to be better controlled. Visual acuity test. The common eye chart test, which measures vision ability at various distances. Tonometry. A standard test to determine the pressure (intraocular pressure, or IOP) inside the eye. Pupil dilation. The pupil is widened with eyedrops to allow a close-up examination of the eye's lens and retina. Ophthalmoscopy. A doctor looks very closely at the retina using a special magnifying glass. Laser surgery. Often used to treat macular edema and proliferative retinopathy; involves shrinking the abnormal blood vessels, or sealing the leaking ones. Vitrectomy. A type of procedure that involves removing the cloudy vitreous (the clear, jelly-like substance that fills the center of the eye) and replacing it with a salt solution.